TDI is the largest technical certification agency in the world. 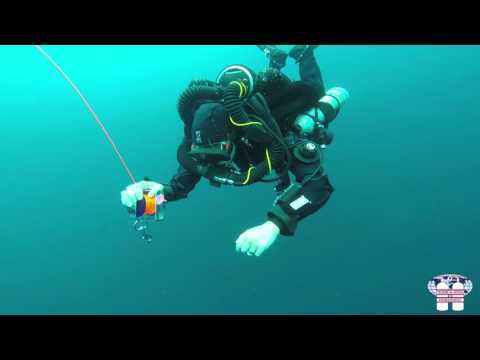 As one of the first agencies to provide training in mixed gas diving and rebreathers, TDI is an innovator of new diving techniques and programs which previously were not available to the general public. Training with TDI has provided divers with the opportunity to see such wrecks as the Andrea Doria, Lusitania and the Prince of Wales. TDI divers have explored underwater caves in Spain, Australia and Mexico, and have assisted as support divers on world record freedives done in the Red Sea. TDI’s professionals are held to the highest standard to ensure quality training throughout the world. This means that as a diver taking a TDI course, your instructor will have documented his experience and knowledge prior to achieving that rating. TDI is committed to offering the highest quality training supported by the latest materials with the most up to date information and techniques. TDI’s materials are written by authors that acutely conduct the type of diving they are writing about. Those same materials are updated as technology and equipment change.